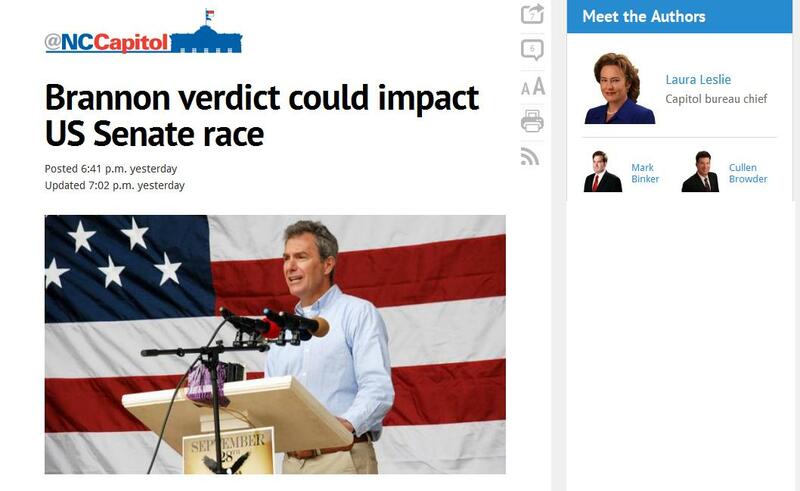 This blog is ONLY one citizen’s take on the events concerning the 2014 NC Senate Race. Our economy is in a depression the likes of what HISTORY remembers after the Market Crash of 1929. The democrats have lied and lied and pushed those lies on the American People for over 100 years now. Currently we have just as much SCUM in the Leadership of the republican party as well. But fear not…. For behold, with the advancement of technology, bloggers like myself and other CITIZEN JOURNALISTS, the TRUTH is getting out to the people. Today, I want to focus on our so called Media — TV, Newspapers, 24 hour a day cable news channels and High Speed internet connections. Primarily our Broadcast & Print Media are directly at fault for ‘Dereliction of Duty’ —- The ‘PRESS’ is protected in our BILL OF RIGHTS (the 1st Amendment) and with that protection comes GREAT RESPONSIBILITY & DUTY! Both of which the Main Stream Media (MSM) has FAILED at miserably. Enter WRAL TV-5 out of Raleigh, NC. They have been in the democrats back pocket for decades now. Along with a majority of the local papers like the Durham Herald Sun, The News & Observer, Charlotte Observer and WTVD from Durham and countless others. First, let’s look at the Actual Complaint filed in Court. The Full PDF File can be found HERE. It’s 14 pages long. Here are only 3 more additional ‘ScreenGrab’ portions of the complaint. Click on any of the images to view a larger version and I urge each of you READ, in it’s entirety, the FULL 14 page complaint. 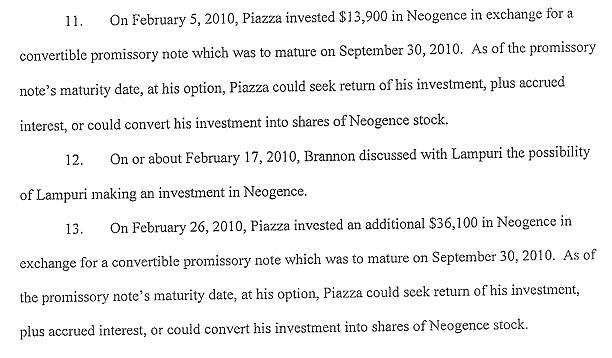 How can a JURY, with the information provided in the complaint, find Dr. Brannon, and Dr. Brannon ALONE, GUILTY of Mis-Informing Investors? If the jury thinks the investors were mislead, then one would think that Kirkbride, Cummings and Rice would ALSO be guilty. 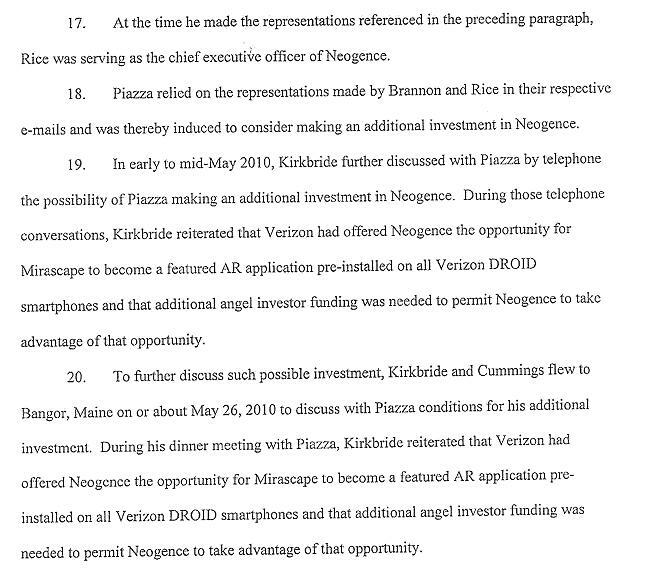 Notice also in the complaint, that it states several other “Angel Investors” —- Where are these Other Investors? Why aren’t they too seeking damages “IF” the investors were really mislead? SilenceDogood2010’s Conclusion: Something stinks here. Maybe the jury was somehow tainted or paid off to find Brannon, and Brannon alone, as the guilty party. Strictly because he is seen as a threat to the democrats and the GOP establishment. I think TIME will tell. Respectfully submitted by SilenceDogood2010 this Nineteenth Day of February in the Year of our Lord, Two Thousand Fourteen. The following is a copy and paste (spelling and other errors are not corrected) from a memo dated February 15, 1913. It is from the US Department of State Solicitor. Please read it THOROUGHLY. You’ll notice that the 16th Amendment didn’t even come CLOSE to being properly Ratified by THREE FOURTHS of the States. It is noted, within the memo, that many Governors DID NOT SIGN the returned ‘Certified Copies’ and that MOST of the states had made changes to their returned documents. 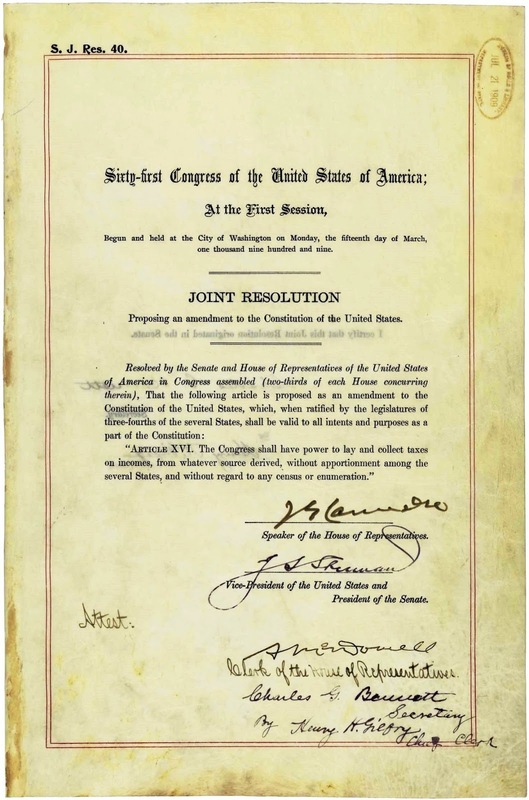 “In the certified copies of the resolutions passed by the legislatures of the several states ratifying the proposed 16th amendment, it appears that only four of these resolutions (those submitted by Arizona, North Dakota, Tennessee and New Mexico) have quoted absolutely accurately and correctly the 16th amendment as proposed by Congress. The other thirty-three resolutions all contain errors either of punctuation, capitalization, or wording. This is NOT how an Amendment to our Constitution is Ratified. Senate Joint Resolution 20. July 15, 1909. Click to enlarge the image. Ratification of the 16th Amendment to the Constitution of the United States. New Hampshire, Rhode Island, and Utah) have rejected the amendment. The remaining thirty-eight states have taken action purporting to ratify the amendment, the State of Arkansas being one of these states. Although the Governor of Arkansas had previously notified the Department that the legislature of that state had refused to ratify the amendment, information was subsequently received indicating that the legislature had reconsidered this action and Toted to ratify the proposed amendment. In all cases in which the legislatures appear to have acted favorably upon the proposed amendment, either the Governor or some other state official has transmitted to the Department a certified copy of the resolution passed by the particular legislature, except in the case of Minnesota, in which case the secretary of the Governor merely informed the Department that the state legislature had ratified the proposed amendment and that the Governor had approved the ratification. Alabama August 17, 1909. “Approved”. Doesn’t appear whether Governor signed. Kentucky February 8 or 9, 1910 Date passed by legislature. Not signed by Governor; Legislature acted on resolution of Congress before it was transmitted to it by Governor. South Carolina February 19, 1910. Date passed by legislature. Signed by Governor. Illinois March 1, 1910. Date passed by legislature. Not signed by Governor. Mississippi March 7, 1910. Date passed by legislature. Signed by Governor. Oklahoma March 14, 1910. Date signed by Governor. Maryland April 8, 1910. “Approved”. Not signed by Governor. Georgia August 3, 1910. “Approved”. Doesn’t appear whether Governor signed. Texas August 17, 1910. Date signed by Governor. Ohio January 19, 1911. “Adopted”. Doesn’t appear whether signed by Governor, – likely not. Idaho January 20, 1911. Date passed by legislature. Not signed by Governor. Oregon January 23, 1911. Date passed by legislature. Not signed by Governor. Washington January 26, 1911. Date passed by legislature. Not signed by Governor. Governor signed. California January 31, 1911. Date passed by legislature. Doesn’t appear. Montana January 31, 1911. Date signed by Governor. Indiana February 6, 1911. Date signed by Governor. Nevada February 8, 1911. “Approved”. Doesn’t appear whether signed by Governor. North Carolina February 11, 1911. Date passed by legislature. Not signed by Governor. Nebraska February 11, 1911. Date signed by Governor. Kansas February 18, 1911 Date passed by legislature. Signed by Governor. Colorado February 20, 1911. Date signed by Governor. North Dakota February 21, 1911. Date signed by Governor. Michigan February 23, 1911. Date passed by legislature. Not signed by the Governor but it is attested by the Governor. Iowa February 27, 1911. Date signed by Governor. Missouri March 16, 1911. Date passed by legislature. Doesn’t appear whether signed by Governor. Maine March 31, 1911. Date passed by legislature. Signed by Governor. Tennessee April 7, 1911. Date passed by legislature. Signed by Governor. Arkansas April 22, 1911. Date passed by legislature. Governor vetoed June 1, 1912. March 28, 1911, Governor informed Secretary of State legislature had failed to pass resolution. So first rejected and subsequently ratified. Wisconsin May 26, 1911. Date received by Secretary of State of Wisconsin. Not signed by Governor. New York July 12, 1911, Date passed by legislature. Not signed by Governor. South Dakota February 3, 1912. Date filed by State Secretary of State. Not signed by Governor. No date of adoption given. Arizona April 9, 1912. Not clear whether date passed by legislature or signed by Governor. Minnesota June 11, 1912. Date passed by legislature. Signed by Governor. Secretary of Governor merely informs Department and no resolution of legislature enclosed. Louisiana July 1, 1912. Date passed by legislature. Signed by Governor. Delaware February 3, 1913. Date passsd by legislature . Not signed by Governor. Wyoming February 3, 1913. Doesn’t appear whether date passed by legislature or signed by Governor . Signed by Governor. New Jersey February 5, 1913. Date signed by Governor. New Mexico February 5, 1913. Date signed by Governor. Ratification by Arkansas. Power of the Governor_to veto. Power of a State to Ratify after having once Rejected the Proposed Amendment. It will also be observed that Arkansas ratified the proposed 16th Amendment after having previously rejected it. It would appear that the Legislature of a State may act adversely any number of times and it still has the right to act favorably and the ratification is as valid as if it had never acted adversely on the question. New Jersey ratified the 13th Amendment after having rejected it. In the case of the 14th Amendment, four States acted similarly (North Carolina, South Carolina, Georgia, Virginia). In all these cases the states which had taken action ratifying the various amendments before the Secretary’s announcement was made were included by the Secretary of State in the list of states ratifying. Errors in Resolutions of State Legislatures in quoting the Proposed 16th Amendment. In the certified copies of the resolutions passed by the legislatures of the several states ratifying the proposed 16th amendment, it appears that only four of these resolutions (those submitted by Arizona, North Dakota, Tennessee and New Mexico) have quoted absolutely accurately and correctly the 16th amendment as proposed by Congress. The other thirty-three resolutions all contain errors either of punctuation, capitalization, or wording. Minnesota, it it to be remembered, did not transmit to the Department a copy of the resolution passed by the legislature of that state. Kentucky Errors of punctuation and capitalization. South Carolina Error of capitalization. Illinois Error of capitalization; “renumeration” instead of “enumeration”. Mississippi “The” omitted before “Congress”; errors of punctuation end capitalization; “of” instaad of “or” before “enumeration”. Oklahoma Error of capitalization; “from” used instead of “without regard to” before “any”. Georgia “Levy” used instead of “lay”; errors of punctuation; “sources” instead of “source”; “income” instead of “incomes”. Idaho Error of capitalization; “of” instead of “or” before “enumeration”. Washington Errors of capitalization and punctuation; “income” instead of “incomes”. California “The” omitted before “Congress”; “any” before “census”, and “or” before “enumeration” omitted; errors of punctuation and capitalization. Nevada Errors of punctuation and capitalization. North Carolina Errors of punctuation and capitalization. Missouri Error of capitalization; “levy” instead of “lay”. Maine Errors of punctuation and capitalization. Arkansas The” before “Congress” omitted; “the” before “power” inserted; errors of punctuation and capitalization. Dew York Errors of punctuation and capitalization. South Dakota “The” before “Congress” omitted; errors of punctuation and capitalization. Minnesota Resolution of the State Legislature not filed with the Department. Delaware “Article XVI” omitted; errors of punctuation. Wyoming Errors of punctuation and capitalization. New Jersey Error of capitalization. “Sect ion 1. The right of citizens of the United States to vote shall not be denied or abridged by the United States or by any State on account of race, color, or previous condition of servitude. New Jersey Capital letters omitted. Minnesota Several errors of capitalization and punctuation. Georgia The word “or” is written in after the word “race” but marked out with pencil. Kansas Errors of capitalization. Section 2. Wording entirely wrong as follows: “The Congress, by appropriate legislation may enforce the provisions of this article.” Kansas ratified as above, February 1869, but in January, 1870, appears to have ratified again, copying the amendment correctly. Rhode Island The word “rights” is used instead of the word “right”, and there are errors of capitalization. These errors appear in one copy filed in the Department, but there is a second copy which is entirely correct. Florida Errors of capitalization and punctuation. Connecticut Errors of punctuation, commas omitted. Indiana The word “the” is inserted, before the word “citizens”. New York The word “the” is inserted before the word “citizens”. Pennsylvania Errors of punctuation, commas omitted. South Carolina Errors of punctuation, commas omitted. Wisconsin Capital letters omitted and the word “the” inserted. Michigan Errors of capitalization and punctuation. Illinois Errors of punctuation, commas omitted. Louisiana The word “by” is omitted before the word “any”, in the original, but is inserted in pencil. Errors of capitalization. West Virginia Errors of capitalization. North Carolina Error of punctuation; comma inserted after the word “state”. “Section 1. All persons born or naturalized in the United States, and subject to the jurisdiction thereof, are citizens of the United States and of the State wherein they reside. 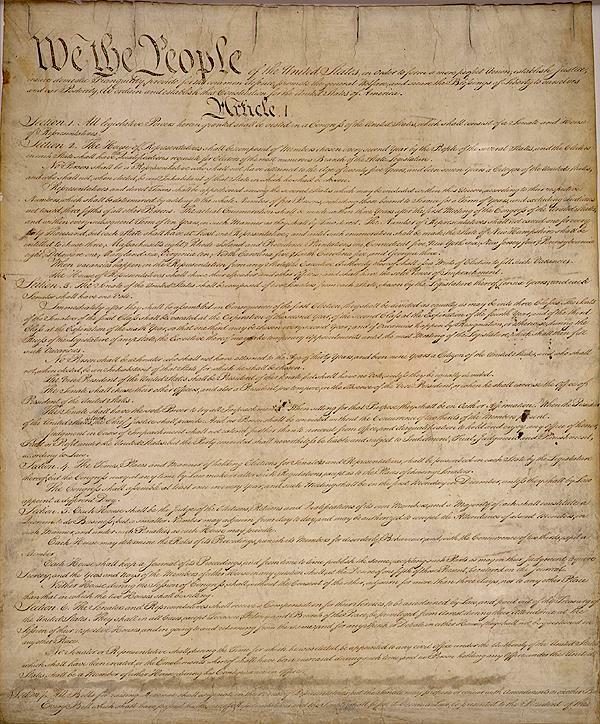 No State shall make or enforce any law which shall abridge the privileges or immunities of citizens of the United States; nor shall any State deprive any person of life, liberty, or property, without due process of law; nor deny to any person within its jurisdiction the equal protection of the laws. “Section 2. Representatives shall be apportioned among the several States according to their respective numbers, counting the whole number of persons in each State, excluding Indians not taxed. But when the right to vote at any election for the choice of electors for President and Vice-President of the United States, Representatives in Congress, the Executive and Judicial officers of a State, or the members of the Legislature thereof, is denied to any of the male inhabitants of such State, being twenty-one years of age, and citizens of the United States, or in any way abridged, except for participation in rebellion, or other crime, the basis of representation therein shall be reduced in the proportion which the number of such male citizens shall bear to the whole number of male citizens twenty-one years of age in such State. “Section 3. No person shall be a Senator or Representative in Congress, or elector of President and Vice-President, or hold any office, civil or military, under the United States, or under any State, who, having previously taken an oath, as a member of Congress, or as an officer of the United States, or as a member of any State legislature, or as an executive or judicial officer of any state, to support the Constitution of the United States, shall have engaged in insurrection or rebellion against the same, or given aid or comfort to the enemies thereof. But Congress may by a vote of two-thirds of each House, remove such disability. “Section 4. The validity of the public doit of the United States, authorized by law, including debts incurred for payment of pensions and bounties for services in suppressing insurrection or rebellion, shall not be questioned. But neither the United States nor any State shall assume or nay any debt or obligation incurred in aid of insurrection or rebellion against the United States, or any claim for the loss or emancipation of any slave; but all such debts, obligations and claims shall be hold illegal and void. Connecticut Errors of punctuation and capitalization; “and” for “any” after “pay”, Section 4. New Hampshire Errors of punctuation and capitalization; “the for “a” after “of and before “State”, Section 2; “of” inserted between “but” and “all”, Section 4. Tennessee Errors of punctuation and capitalization. New Jersey Errors of punctuation and capitalization. Oregon Errors of punctuation and capitalization. Vermont Errors of punctuation and capitalization; “that” for “the”, Section 5. New York Errors of punctuation and capitalization; “or” for “and” between “executive” and “Judicial”, Section 2; “or” for “and” between “President” and “Vice President”, Section 3. Ohio Errors of punctuation and capitalization; “or” for “and” between “President” and “Vice President”, Section 3. Illinois Errors of punctuation and capitalization. West Virginia Errors of punctuation and capitalization; “for” for “of” between “elector” and “President”, Section 3 “rebellion or” inserted between “in” and “insurrection”; “or bounties” omitted after “pensions”, Section 4. Kansas Errors of punctuation and capitalization. Nevada Errors of punctuation and capitalization; “being” inserted between “and” and “citizens”, Section 2; “or” instead of “and” between “obligations” and “claims”, Section 4. “The” omitted before “Congress”, Section 5. Missouri Errors of punctuation and capitalization. Indiana Errors of punctuation and capitalization; “or” for “nor” between “States” and “any”, Section 4; “claims” for “claim” between “any” and “for”, Section 4. Minnesota Errors of punctuation and capitalization. Rhode Island Errors of punctuation and capitalization; “or” for “and” between “executive” and “Judicial”, Section 2; “to” for “or” between “assume” and “pay”, Section 4. Wisconsin Errors of punctuation and capitalization; “numbers” for “number” between “jurisdiction” and “count ing”. Section 2; “whenever” for “when” between “but” and “the”, Section 2; “the choice of” omitted between “for” and “electors”, Section 2; “of” for “for” between “electors” and “President”, Section 2; “of the United States” omitted between “Vice President” and “Representative”, Section 2; “or for United States” inserted before “Representatives”, Section 2; “the” omitted before “Executive”, Section 2; “or” for “and” between “Executive” and “Judicial”, Section 2; “of a state” omitted after “judicial officers”, Section 2; “to” for “in” between “reduced” and “the”, Section 2. Section 2 is erroneously quoted: “Representatives shall be apportioned among the several states according to their respective number counting the whole number of persons in each state, excluding Indians not taxed. But whenever the right to vote at any election for electors of President and Vice President, or for United States Representatives in Congress, Executive or Judicial Officers or the members of the Legislature thereof, is denied to any of the male inhabitants of such state being twenty one years of age and citizens of the United States or in any way abridged except for participation in rebellion or other crimes the basis of representation therein shall be reduced to the proportion which the number of such male citizens shall bear to the whole number of male citizens twenty-one years of age in such state.” “or” for “and” between “President” and “Vice-President”, Section 3; “or as an officer of the United States” omitted between “Congress” and “or”, Section 3; “vote of two thirds” changed to “a two thirds vote”; “the” inserted between “for” and “payment”; “the” inserted after “suppressing”, Section 4; “that” for “the”, Section 5. Pennsylvania Errors in punctuation and capitalization; “laws” for “law” where the word. first appears in Section 1; “law” for “laws”, last word, Section 1; “or” for “nor” between “States” and “any” where the word first appears in Section 4. Michigan Errors in punctuation; “or” for “and” between “President” and “Vice President”, Section 3. “citizens” where the latter word last appears in Section 2; “or” for “and” between “President” and “Vice President”, Section 3. Nebraska Errors of punctuation and capitalization; “any” inserted before “electors”, Section 2; “or” for “and” between “President” and “Vice President”, Section 3. Iowa Errors in punctuation and capitalization; “abridge” for “abridged” after “way”, Section 2. Arkansas Errors in punctuation and capitalization; “or” for “and” between “President” and “Vice President”, Section 3; “or under any State” omitted after “United States”, Section 3. In a second copy of the resolution, the proposed amendment is copied correctly so far as the wording is concerned, but there are errors of punctuation and capitalization. In Section 2 there is a period after “numbers” and “counting” is commenced with a capital letter. Florida Errors in punctuation and capitalization; “First” is substituted for “Article 1”; “Second” for “Article 2”; “Third” for “Article 3”; “Fourth” for “Article 4”; “Fifth” for “Article 5”; “of” omitted before “the State” in first sentence, Section 1; “or” for “and” between “President” and “Vice President”, Section 3; “and” for “or” between “aid” and “comfort”, Section 3. North Carolina Errors in punctuation and capitalization; “the” omitted before “Executive”, Section 2; “and” for “or” between “aid” and “comfort”, Section 3. Louisiana Errors in punctuation and capitalization; “be as” for “bear” after “shall”, Section 2. South Carolina Errors in punctuation and capitalization; “the members of” omitted before “the Legislature”, Section 2; “therein” omitted after “representation”, Section 2; “such” for “male” before “citizens” where the latter word last appears in Section 2; “or” for “and” between “President” and “Vice President”, Section 3; “the” inserted before “payment”, Section 4. Alabama Errors in punctuation and capitalization; “Legislatures” for “Legislature”, Section 2.
but crossed through with pencil and “reduced” inserted in pencil; “and” for “or” between “Bid” and “comfort”. Section 3. In a second copy of the resolution on file in the Department “the” is not inserted before “citizens” as above indicated; there is no error in the word “reduced” in this second copy, Section 2, nor in the word “or” between “aid” and “comfort”. In a third copy of the resolution filed in the Department, the sections are correctly indicated. Virginia Errors in punctuation and capitalization; “and” for “or” between “aid” and ”comfort”, Section 3; “and” for “or” between “insurrection” end “rebellion”, Section 4; “or” for “and” between “obligations” and “claims”, Section 4. Mississippi Errors in punctuation and capitalization; “way” omitted before “abridged” but inserted in blue pencil, Section 2; “crimes” for “crime”, Section 2; “for” instead of “of” after “elector”, Section 3, but inserted in blue pencil; “to” instead of “shall” before “have engaged”, Section 3, but inserted in blue pencil; “held” omitted before “illegal”, Section 4, but inserted in blue pencil. Texas Errors in punctuation and capitalization; “or under any State” omitted, Section 3. At the time the 14th Amendment was adopted, there wore thirty-seven states in the Union, therefore twenty-eight were necessary to make up the required three-fourths necessary to ratify an amendment to the Constitution. The first thirty states above mentioned were all included in the declaration of the Secretary of State announcing the adoption of the 14th amendment. The three latter states were not included in that declaration. It will be observed that there were many substantial errors of wording in the resolutions of the state legislatures upon which the Secretary of State acted in issuing his declaration announcing the adoption and the ratification by the states of the 14th amendment to the Constitution. As, by announcing the ratification of the 14th amendment the Executive Branch of the Government ruled that these errors were immaterial to the adoption of the amendment, and further as this amendment has been repeatedly before the courts, and has been by them enforced, it is clear that the procedure in ratifying that amendment constitutes on this point a precedent which may be properly followed in proclaiming the adoption of the present amendment, -that is to say, that the Secretary of State may disregard the errors contained in the certified copies of the resolutions of legislatures acting affirmatively on the proposed amendment. It should, moreover, be observed that it seems clearly to have been the intention of the legislature in each and every case to accept and ratify the 16th amendment as proposed by Congress. Again, the incorporation of the terms of the proposed amendment in the ratifying resolution seems in every case merely to have been by way of recitation. In no case has any legislature signified in any way its deliberate intention to change the wording of the proposed amendment. The errors appear in most cases to have been merely typographical and incident to an attempt to make an accurate quotation. Furthermore, under the provisions of the Constitution a legislature is not authorized to alter in any way the amendment proposed by Congress, the function of the legislature consisting merely in the right to approve or disapproval the proposed amendment. It, therefore, seems a necessary presumption, in the absence of an express stipulation to the contrary, that a legislature did not intend to do something that it had not the power to do, but rather that it intended to do something that it had the power to do, namely, where its action has been affirmative, to ratify the amendment proposed by Congress. Moreover, it could not be presumed that by a mere change of wording probably inadvertent, the legislature had intended to reject the amendment as proposed by Congress where all parts of the resolution other than those merely reciting the proposed amendment had set forth an affirmative action by the legislature. For these reasons it is believed that the Secretary of State should in the present instance include in his declaration announcing the adoption of the 16th amendment to the Constitution the States referred to notwithstanding it appears that errors exist in the certified copies of Resolutions passed by the Legislatures of those States ratifying such amendment. The Department has not received a copy of the Resolution passed by the State of Minnesota, but the Secretary of the Governor of that State has officially notified the Department that the Legislature of the State has ratified the proposed 16th amendment. It is believed that this meets fully the requirement with reference to the receipt of “official notice” contained in Section 205 Revised Statutes, and that Minnesota should be numbered with the States ratifying the aforesaid amendment. It it recommended, therefore, that the Secretary issue his declaration announcing the adoption of the 16th amendment to the Constitution. 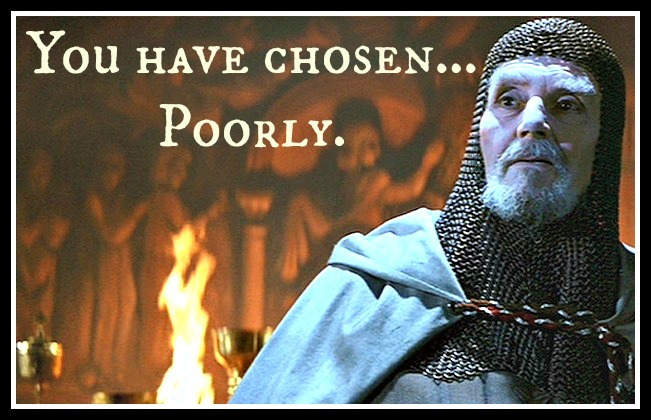 Respectfully submitted by SilenceDogood2010 this Fourteenth Day of February in the Year of our Lord, Two Thousand Fourteen. Can you read this License Plate? How about from 20 feet away? Update: 2/8/14 — Since this was posted, I’ve learned that the “ORIGINAL COST” for these “GREEN Hybrid Light Transit Vehicles” (LTV) was $50,000 MORE per vehicle than if it came with a standard Internal Combustion Gasoline Engine. So in 2011, we spent $500,000 (Half a Million) MORE to get the Hybrid Option on 10 Mini-Buses. Approximately 3 years later, we’re having to pay to UNDO this half a million very poor decision. This post is a “Copy and Paste” from various sources. I’m sure the sources will be ‘SCRUBBED’ since they shine a BAD light on the ‘Liberal Ideology’. Also to be noted is the FACT that MAJORITY of the time you see these buses on the roads, there are only 4-6 people riding them. We could provide Full Sized Ford Econoline Vans, with extended roofs, to haul 4-6 people for a FRACTION of the cost of these behemoth buses! Durham, N.C. — Durham officials have found it’s not easy being green. The city decided this week to convert 10 of its hybrid vehicles – light transit vehicles, or LTVs, that transport people with disabilities – back to gas-fueled engines because of maintenance problems. City buses will continue to have hybrid engines. The LTVs were added to Durham’s fleet in 2011. The hybrid vehicles cost $112,000 each, compared with $65,000 for buses without hybrid engines, but officials figured they would save on fuel costs. 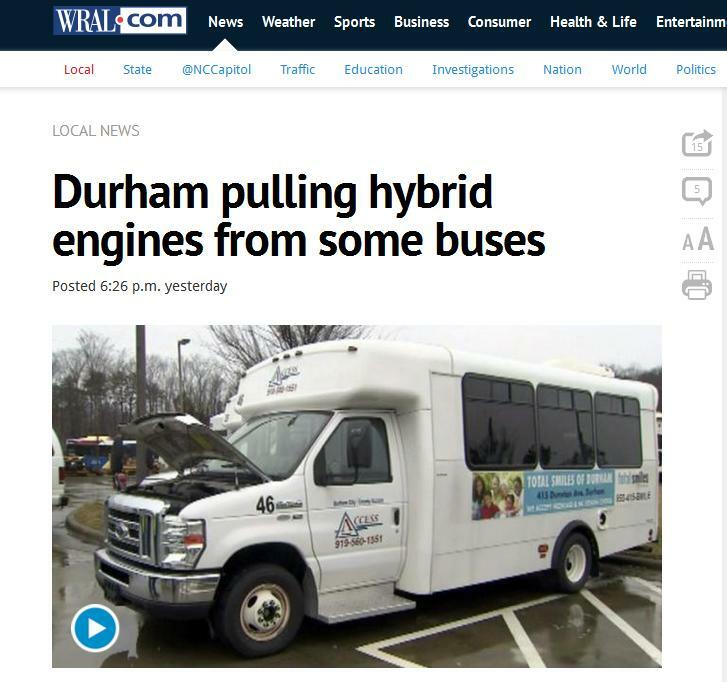 “It all comes from our desire to have the most fuel-efficient fleet that we can,” said Tobin Freid, Durham’s sustainability manager, who helped secure federal funds to buy the hybrids. The savings never panned out, however, as repairs started piling up. In 2012, the company that outfitted the hybrid vehicles went bankrupt, so Durham could no longer get the parts they needed to make repairs. “We started parking vehicles as they were breaking down because we didn’t have parts for them,” Mozingo said. LTV routes started feeling the pinch as the fleet became smaller, so the city’s Transportation Department decided to make another switch. “We need to have these 10 vehicles back on the road, and the fastest way to do that is through this conversion,” said Harmon Crutchfield, assistant director of transit and parking services. Durham plans to spend $78,000 to convert the hybrid LTVs back to gas engines. Each vehicle will take about a week to be converted. Freid said the move is disappointing but not discouraging. “We tried a new technology, and sometimes when you try new things, they don’t work out,” she said. ScreenGrab taken from the WRAL Story Above. More on Durham’s Hybrid Buses. Pay close attention on this video starting at around the 3:00 mark. Notice each of the $600K buses have only about 6-8 RIDERS MAX!!! “They’re mean, green, more fuel-efficient machines. 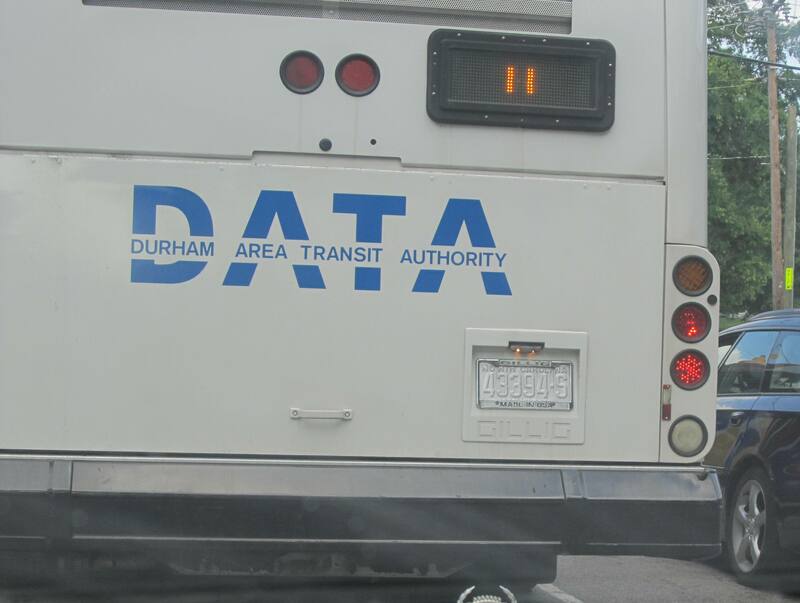 The Durham Area Transit Authority debuted 20 diesel-electric hybrid buses last December. 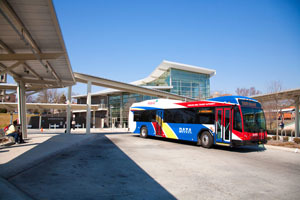 The buses—which feature advanced wheelchair accessibility, audio instructions for the visually impaired and a funky color scheme voted on by city residents—have been deployed on various DATA routes, and are estimated to be 20 to 45 percent more fuel-efficient than regular diesel buses, according to a December 2009 City of Durham news release. Respectfully submitted by SilenceDogood2010 this Sixth Day of February in the Year of our Lord, Two Thousand Fourteen.